We talked about Europe’s role in the defence of human rights during the second edition of GariwoNetwork, planned for 29 November at Frigoriferi Milanesi. Speaker about this topic will be Marcello Flores, historian, a former professor at the University of Siena and director of the European Master in Human Rights and Genocide Studies. A meeting in our seat offered the occasion to talk with him about the current situation of human rights around the world, between perceptions, challenges and international organizations. If we think of human rights today, many feel the awareness about this topic is weakening. Is this a realistic perception? Today there are two predominant perceptions. One deals with the emergence, above all on the social media, of attitudes of refusal to devote the due attention to rights, cynicism or – albeit on a smaller scale – claim that violating those rights is good. All this is due to the transformation we have witnessed in the social networks over the past 2 or 3 years, in which many opinions that previously many people held, but avoided mentioning, have instead become the normality today. Nonetheless, I do not believe this automatically means an increase in the rights violations. Certainly, it is something worrisome, and therefore I think we need to think of new communication strategies, as the language and the instruments used in the past apparently work no more. 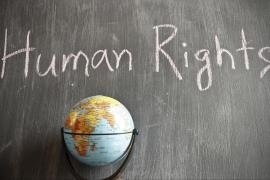 There is another feature that concerns those who struggle for human rights, though, and it is the conviction that we find ourselves in a stage of very sharp regression in terms of rights. I believe this is a wrong perception because if we look at the human rights situation as a whole, it is certainly full of violations, but it is not worse than it was ten, twenty or thirty years ago. The fact that we have the feeling of doing steps backwards leads to a subsequent entrenchment, which is though only a proclamation of the need to protect those rights, without succeeding in imagining alternative ways to do so. It is thus necessary, on the one hand, to provide a different and alternative information able to affect these perceptions, and on the other hand to find out some concrete actions. This is absolutely true, also for us historians. Very often, for example, we tend to repeat the parallelism between today’s historical situation and the Thirties with the rise of Nazism. That there are some deep cultural similarities is undeniable and very clear. This, though, makes us run the risk of forgetting how strong and deeply rooted a culture of democracy and rights is, which albeit on a crisis, for example, prevents Trump from becoming like Hitler. How much of the current situation is due to the return of such phenomena as claims of absolute sovereignty and national closure? To be honest, I do not believe that the situation was much different before, if not perhaps in the public discourse. In fact, if we look up the data of foreign aid, Italy has never met the commitments that it had taken on internationally or that Europe or the United Nations had demanded to it. Today, leaders take only pride, or at least self-justification, not to care of the others with the excuse of the present crisis. Once more, it is necessary to put in place a new information and communication mechanism. The responses that we give today sounds as a pretence of basing policies on mere moral will, which does not work. Surely, it is essential to start from the fact that globalization exists and cannot be erased. It surely can be modified, but in a world, in which we are now so strictly interconnected, we need to make people aware that every solution is necessarily built starting from this assumption. By the way, which is the role of the international institutions today? We have been discussing a reform of the United Nations for 30 years. This because, unfortunately, the historical moment and the modalities of construction of the UN make it impossible to reform it without a unanimous consensus, above all now that the Organization has grown so much. I though believe that also in this sphere, much information work needs to be done about the UN’s role in preventing so many more conflicts, besides Iraq, Syria and Libya. Of course, an important problem remains unsolved, the one of the veto power within the Security Council. Over the past 15 years, we have seen many interventions blocked by vetoes, as well as independent initiatives of one or more countries outside the Security Council itself. Today, we are suffering the consequences of the predominance of a populist ideology, while we all need to seek international responses. Similar conclusions can also apply to the European Union: it ensured peace in the continent, although it was not able to stop the conflict in the former Yugoslavia. On the eve of the European elections, what kind of measures are more urgent for the defence of human rights? I think the debate on a European army and quick response force for the various humanitarian situations is of the utmost importance. Neither Italy, nor Poland, Hungary or Holland want to undertake this path, but I believe it is the only possible strategy. It is thus a matter of proposing it and insisting on some ideas, reasoning and working on it together. In this scenario, what are the main challenges on the theme of human rights today? I believe there are three main issues. First, the debate - that arose along with the Declaration of Human Rights of 1948 – about whether the discourse concerning the universality of human rights was a sort of an imposition of Western culture on all other countries about rights - has been resumed. There have been lots of arguments in the past, which go on still today; also many activists support this thesis. We should try to reason about this issue, keeping in mind that on the fundamental rights there is no much difference between cultures, but there are perhaps differences only about the local customs and traditions. Secondly, a thing which is often greatly highlighted- and somebody views it as a failure of the culture of human rights – is the incapability of managing to intervene on social inequality. While it is easier to defend the civil and political rights, the economic and social ones are more and more abandoned to themselves. As many of the critics who underline this feature contend that the culture of human rights is also partly responsible for this, because it would have aligned with neo-liberalism, I think this is another field that deserves further insights to try and understand what the entirety of rights actually mans today and its meaning in every single feature. Keeping in mind that human rights are always the result of political battles, and thus politics is always essential to progress, or stop, or have setbacks. The third issue is that today, despite the fact that the culture of human rights has affirmed and stood the test of time, we are in the face of a growing confrontation between rights: between freedom of expression and Holocaust denial, healthcare and work, national sovereignty and international law, security and freedom. In this conflict between rights, often politics chooses the path of a “hierarchy of rights”, which de facto runs the risk of leading to a denial, albeit temporary, of some rights in the name of others, thus clearing one’s conscience. Reasoning also on this point is important, above all in the West or where the culture of human rights is firm.